Nothing is more irritating than fumbling with car seat straps when you are in a hurry. Twisted straps and digging for buckles doesn’t need to be part of parents’ daily routine. 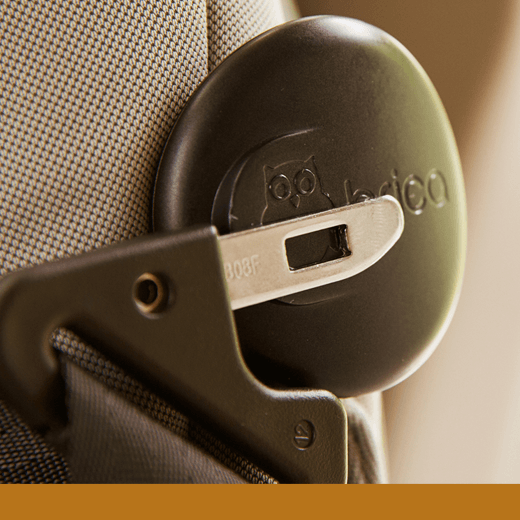 The Car Seat Buckle Magnet Clips safely attach to any car seat and use a magnet to hold the buckles in place and out of the way until they are needed. Simply attach them with the childproof securing system and touch the buckle to the magnet—hassle gone. Designed by: Simon Kang and Thomas Birkert of Munchkin, Inc.